Migration to New Worlds showcases unique primary source material recounting the many and varied personal experiences of 350 years of migration. Explore Colonial Office files on emigration, diaries and travel journals, ship logs and plans, printed literature, objects, watercolours, and oral histories supplemented by carefully selected secondary research aids. This resource is provided free to all UK based universities through Jisc, in partnership with Adam Matthew. Login to the resource from the collection website www.migration.amdigital.co.uk. If you are off campus, login via the Library catalogue for access. If you use the link from the library catalogue you may get a security warning. It’s fine to proceed past this – see this blog post for details. Adam Matthew will be presenting a ‘Migration to New Worlds’ webinar featuring Andrew Linn, Consultant Editor on Migration to New Worlds and Dean of Social Sciences and Humanities at the University of Westminster, on Tuesday 31st May, 4pm-4.45pm. If you would like to attend this webinar please register online. 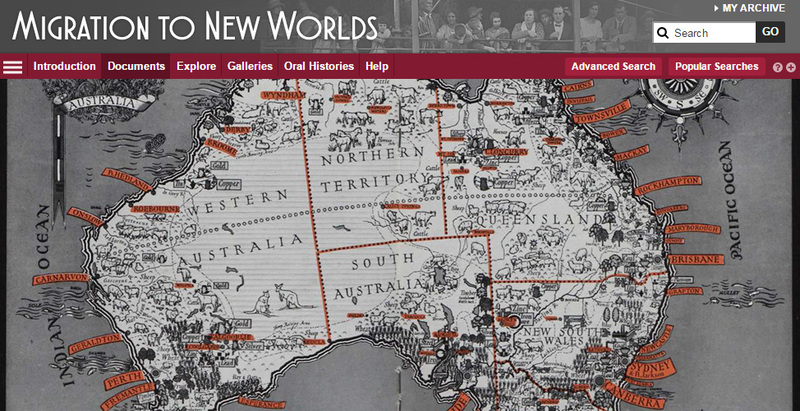 See the Migration to New Worlds Online Collection brochure for an insight in to the fascinating resource or take a tour. This entry was posted in E-Resources on 26th May, 2016 by Lee Snook.